The afternoon was gray and gloomy. What little snow we had in the yard looked crusty and tired. I’d been out all morning. 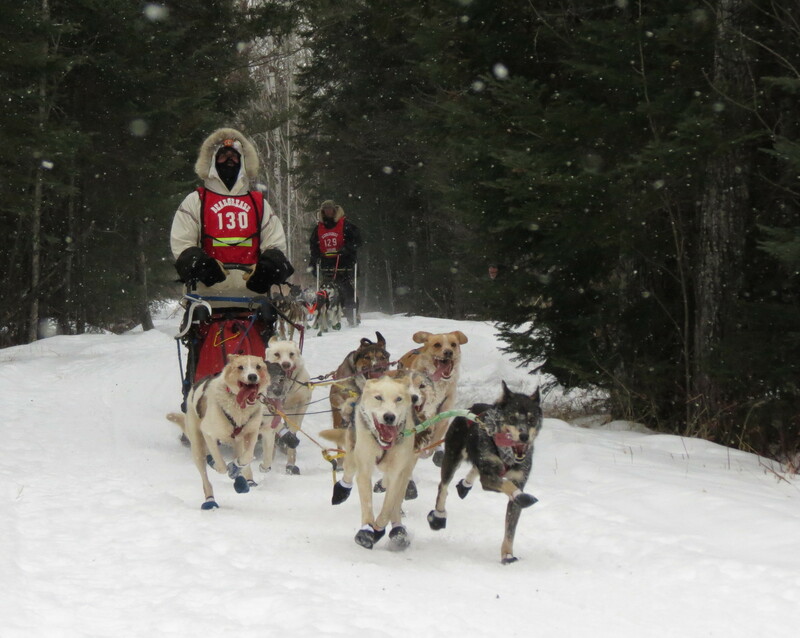 So the idea of going out to watch and photograph the John Beargrease Sled Dog Race was beginning to lose its appeal. Fortunately, I didn’t let the excuses keep me away. 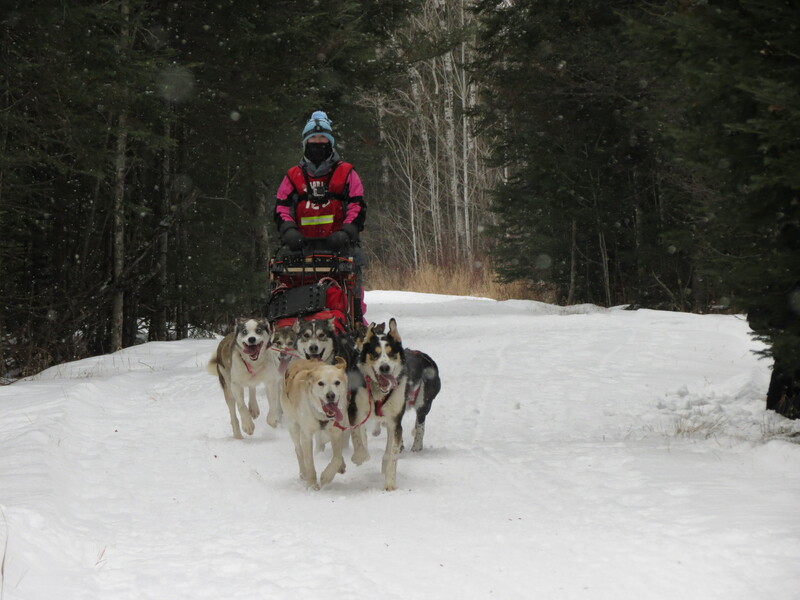 With the race starting north of Two Harbors due to lack of snow this year, we had to scout a new viewing spot. Yet once we arrived, it reminded me of last year’s outpost. We were at a point where the race course crossed a road and were able to peer down the tree lined trail. 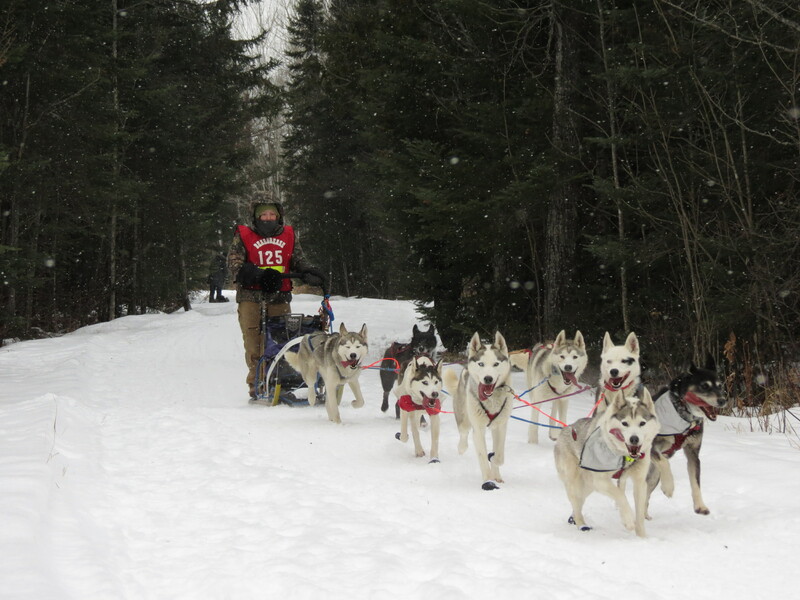 Our timing was good, as the half-marathon mushers were just starting to pass by as we arrived. There was a steady stream of sleds with reasonable gaps in between – the beauty of being a short distance from the beginning of the race. One of the race officials must have been in contact with someone just up the course as he’d yell “dogs on the trail,” and sure enough a team would soon turn the corner and enter our field of view. Sometimes we’d get a double – one team just behind another bearing down the trail. It always seemed to take them a while to come into my viewfinder, and then suddenly they were past and we were hooting and hollering for the mushers. What I managed to catch in my photos each time was a matter of pure luck. With all the teams still fresh, the temperatures mild and the trail conditions good, there was an aura of positive excitement among the teams. The dogs in particular seemed to be having a good time. In fact, they were decidedly a happy bunch. Especially after viewing all my photos, I couldn’t help but have a bit of fun with that idea. I nominated this group for happiest dog team. There was no question about which was the happiest dog. 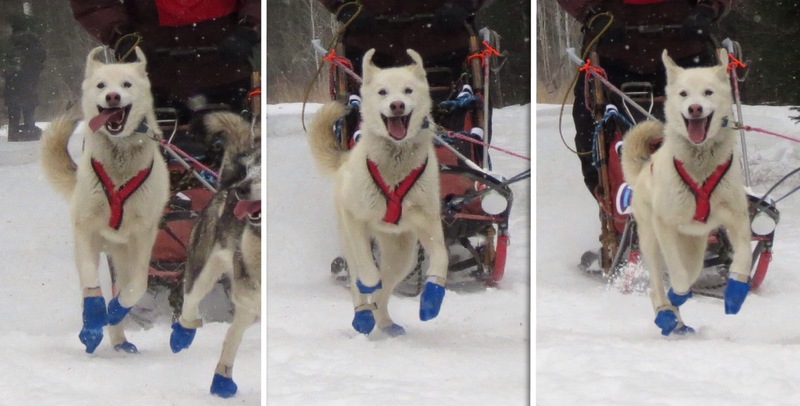 This had to be the most delighted canine out there on the trail. Have you ever seen a bigger dog smile? 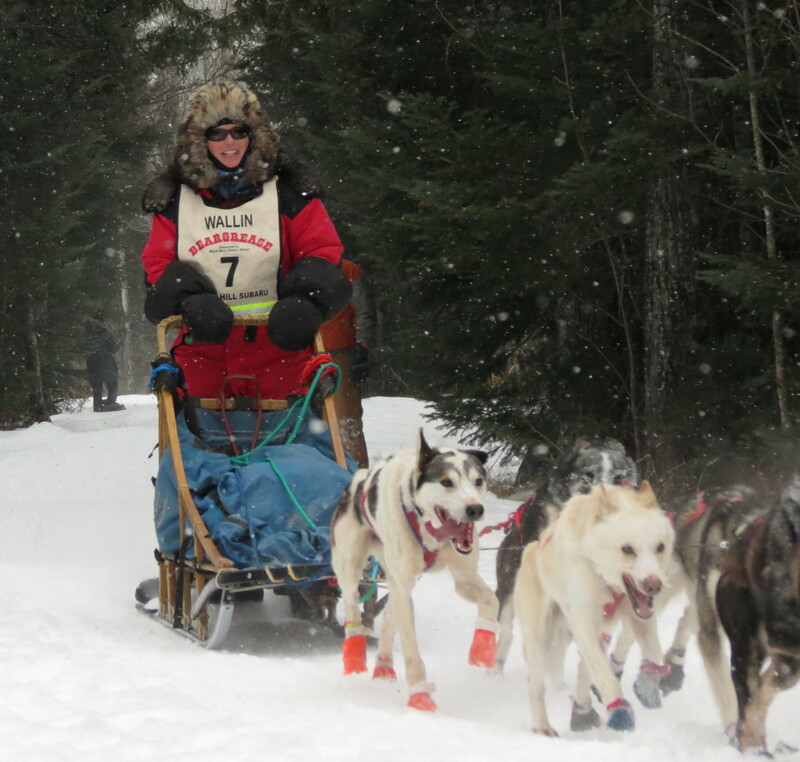 When it came to mushers, this woman’s smile was infectious. We stayed until the last full marathon team sailed through. By then the day was darkening, my fingers and toes were chilling, and it was easy to head home. But I was glad I’d gone out to watch the race. I was a happy spectator. This entry was posted in Outdoors and tagged Outdoors, Snow by Molly. Bookmark the permalink.